About the Inn: Located in downtown Matthews, NC, The Lemmond House offers two upstairs guestrooms. Built in the early 1900's, this charming Dutch Colonial style home was originally built by the Lemmond family. Over the years, it has undergone numerous renovations, most recently the addition of two large guestrooms upstairs, each with a private ensuite bath with Jacuzzi whirlpool tub and large walk-in tiled shower. The Lemmond House is within walking of the shops and restaurants in the vibrant small town of Matthews, North Carolina. Immerse yourself in the quiet small town of Matthews while still being accessible to all that the big bustling city of Charlotte has to offer ... theater, fine dining, museums, upscale shopping malls, shops, etc. Within 30 minutes you can be downtown for all the events, Broadway shows, opera, art museums and fine dining in Uptown Charlotte. The Lemmond House is proud to be featured on BedandBreakfast.com. About Matthews NC: Matthews takes great pride in its small town appeal. Restaurants, shops and bars are all within walking distance. The Stumptown Amphitheater is minutes away and offers free music, movies and other activities throughout the year. Throughout the year, the town offers arts and craft shows, classic car rallys, beach music festivals and other events. The ‘Matthews Alive’ festival on Labor Day weekend is a 4 day event that includes a parade, food, arts and crafts and carnival rides. It’s good fun for the whole family and it’s right out our front door! There is also a thriving dance and opera group that performs locally. 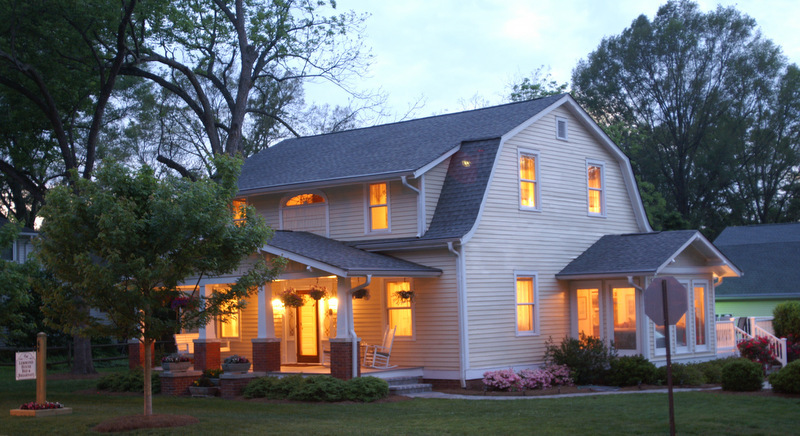 The Lemmond House, a North Carolina bed and breakfast, serving Matthews and the nearby communities of Stallings, Ballantyne, Weddington, Myers Park, Mint Hill, Charlotte, South End, Pineville, South Park, Dilworth and we're only 30 minutes from Uptown Charlotte NC.